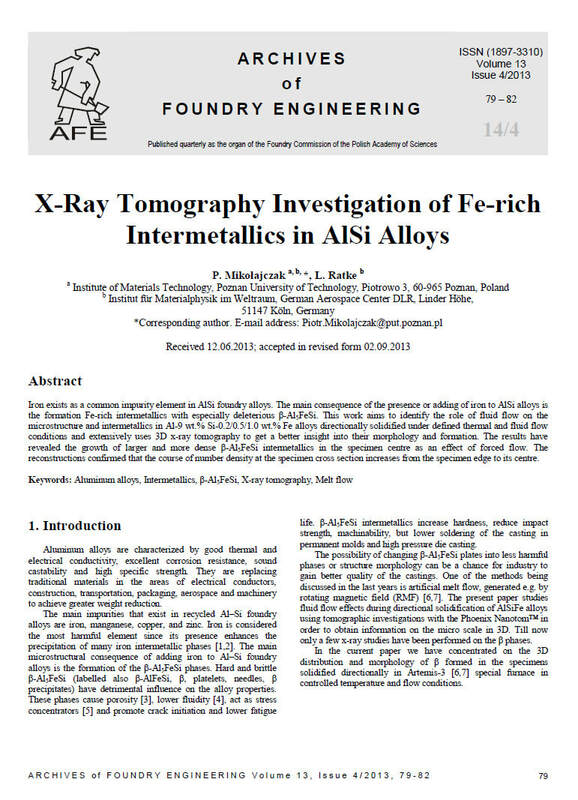 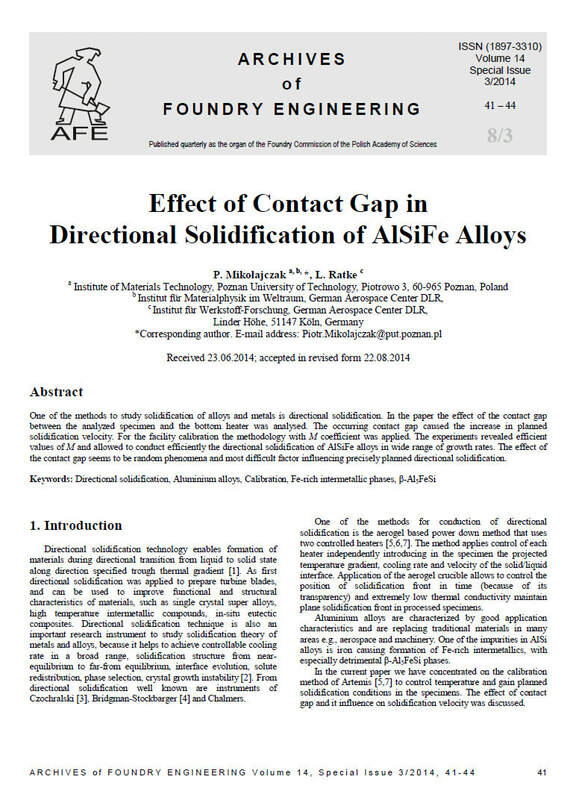 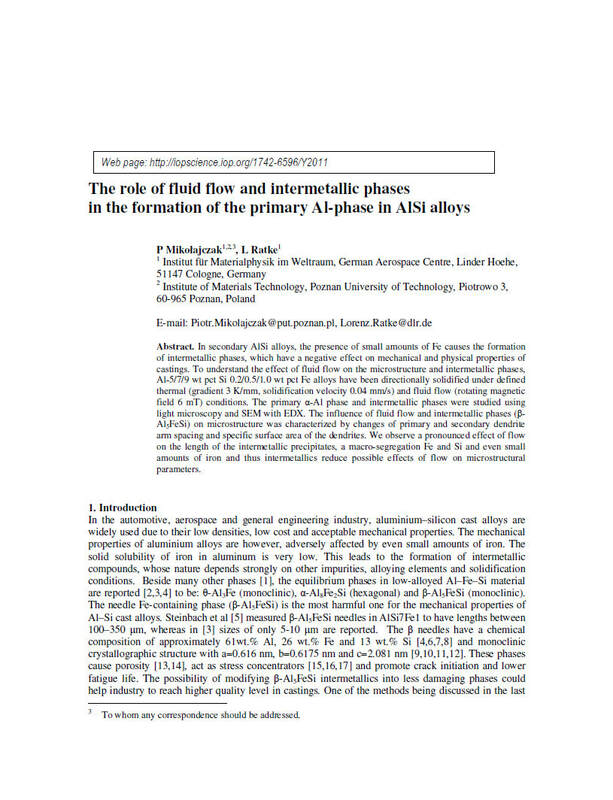 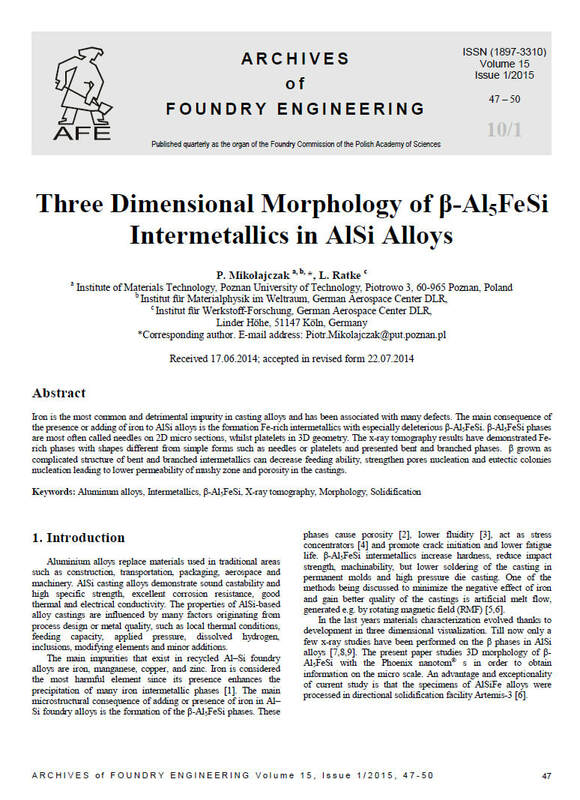 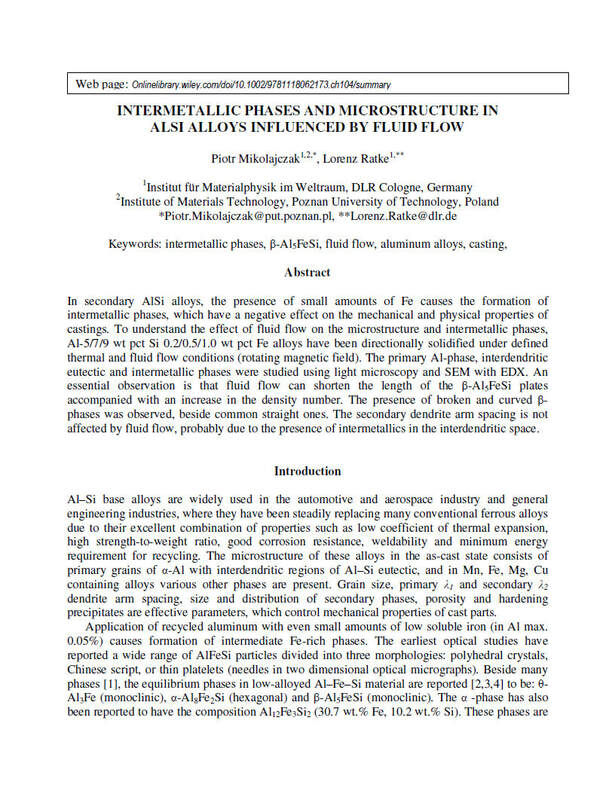 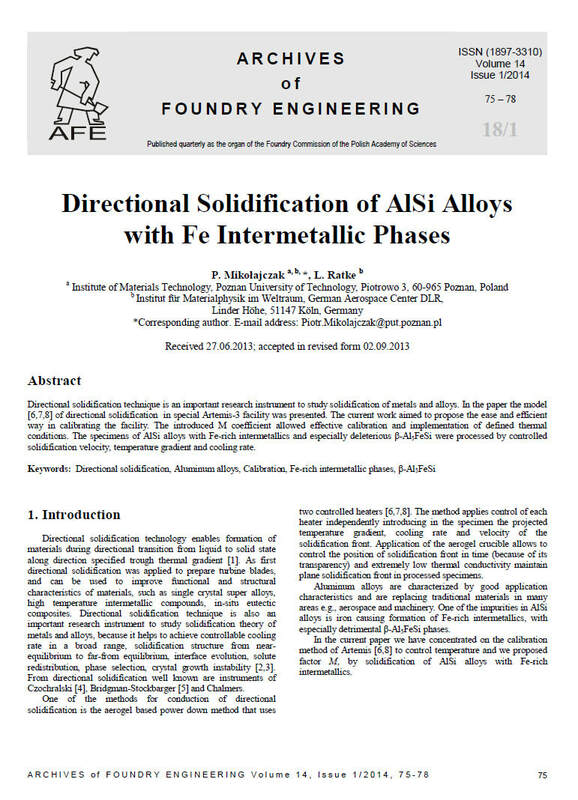 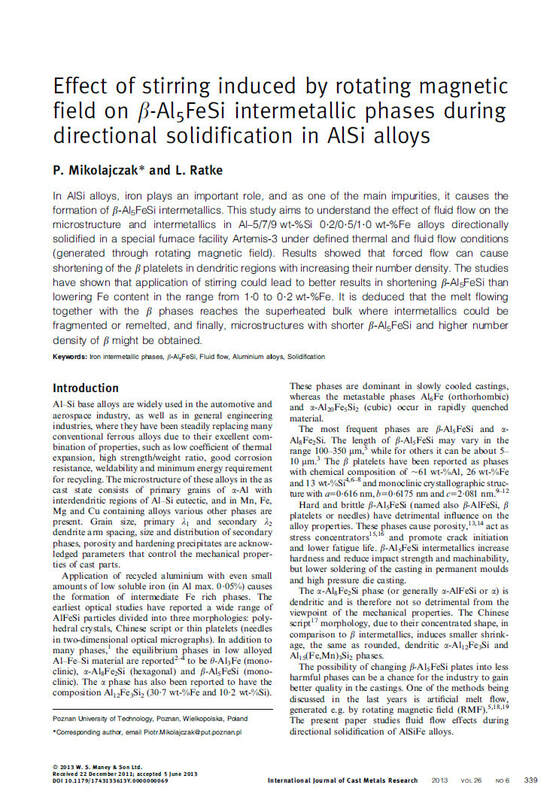 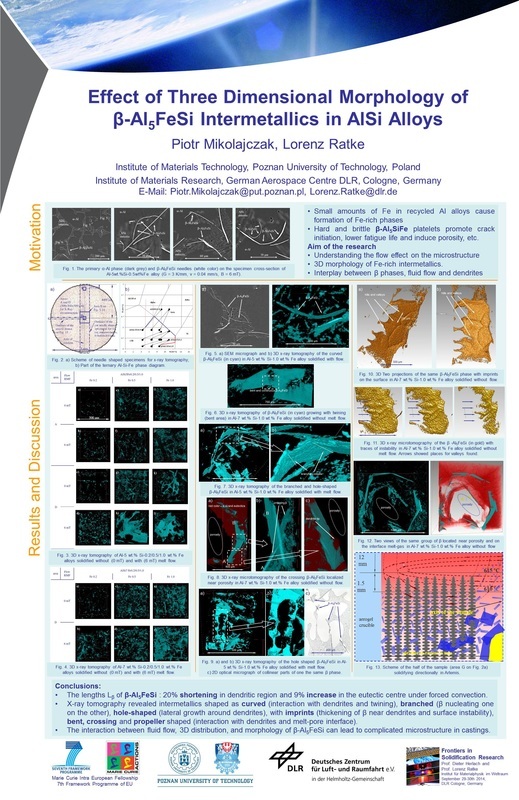 P.Mikolajczak, L. Ratke, Three Dimensional Morphology of Mn Rich Intermetallics in AlSi Alloys Investigated with X-Ray Tomography. 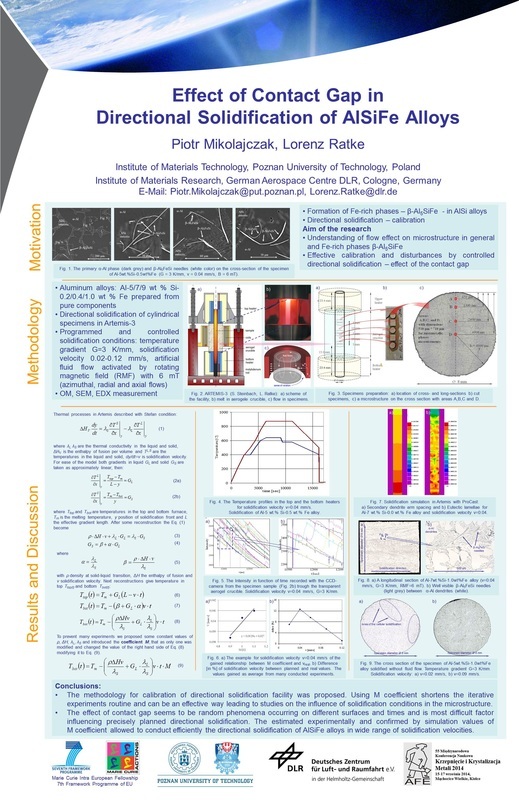 Materials Science Forum - Solidification and Gravity SolGrav VI. 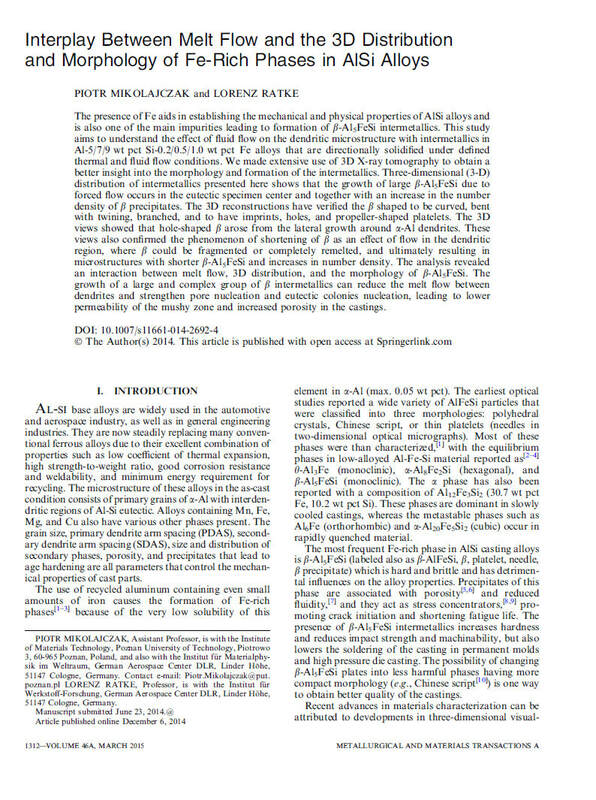 2014, Vol. 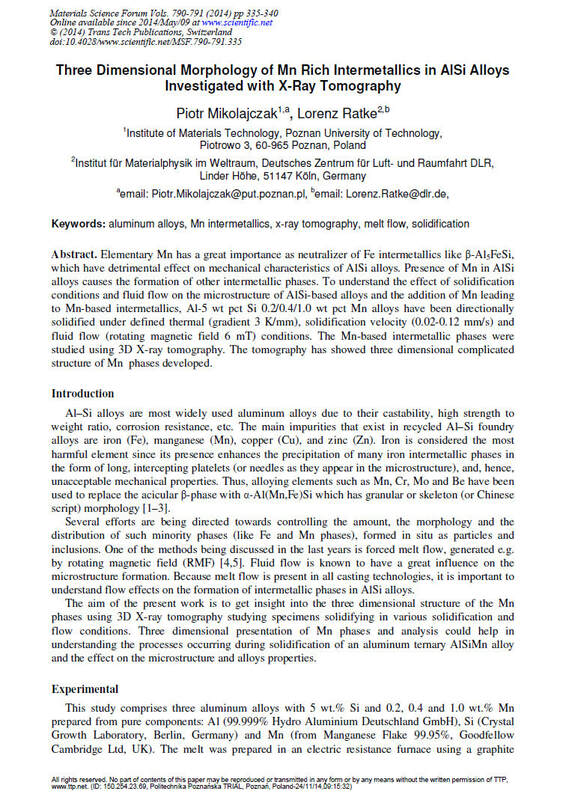 790-791, pp. 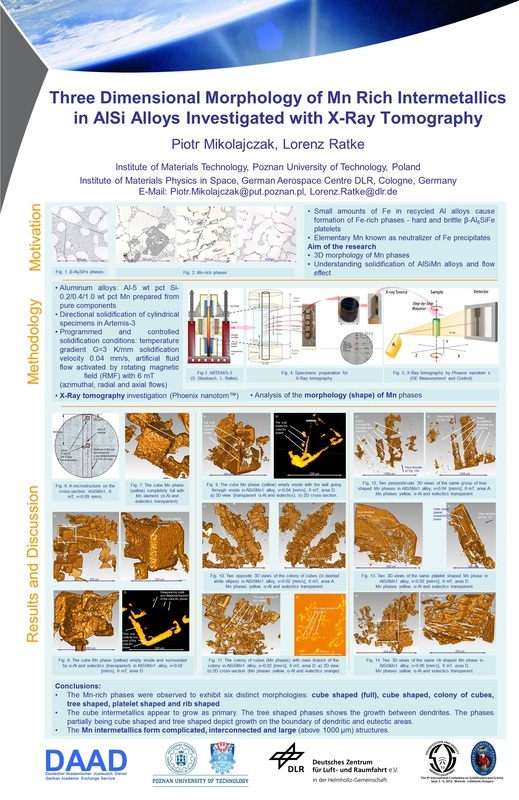 335-340.